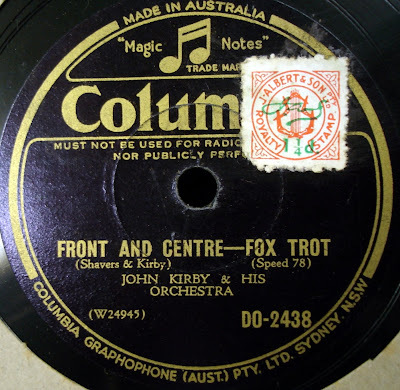 The refreshingly interesting sounds of John Kirby! Very good, when I compare it with the one I have on CD (re-issue). Yep thats right, All from a worn out 78 found in a junkshop and played by me to death as a child with a crappy saphire stilus. Imagine what I could do with a better disc!. Well no CD company seem to think my stuff is "better", I have 30 Knockbacks to prove it.